Originally published under the title "For How Long Will the Peace Treaty with Egypt Be Robust?" 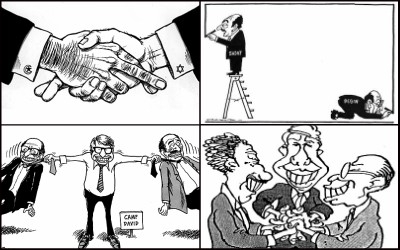 Israel's 40-year-old peace treaty with Egypt has proven more durable than contemporary cartoonists imagined. Israel is celebrating the fortieth anniversary of the historic visit of Egyptian president Anwar Sadat to Jerusalem, that led to the Egyptian-Israeli peace treaty. The move by Egypt, the largest and strongest Arab state, changed the dynamics of the Arab-Israeli conflict. Sadat violated the Arab taboo against good neighborly relations with the Jewish state and opened the way for additional peace agreements. The defection of Egypt from the Arab military coalition eliminated the option of a two-front conventional war against Israel and saved the Israeli taxpayer billions of dollars. The heavy price paid by Israel to Egypt was total withdrawal from the Sinai and removal of settlements. But, in retrospect, it worked out well, turning Israel into "the land had peace for forty years." The peace treaty withstood many difficult tests: Israel's strike on the Iraqi nuclear reactor in 1982, the 1982 Israeli invasion of Lebanon, the 1987 Palestinian uprising, Israeli measures against the Palestinian terrorism campaign since 2000 and the Israel-Gaza wars. Even the Muslim Brotherhood government in Egypt (2012-13) did not cancel the peace treaty. Israeli expectations for normal inter-state and people-to-people interactions with Egypt were not realized. Unfortunately, Israeli expectations for normal inter-state and people-to-people interactions were not realized. The rooted cultural and religious barriers to having good relations with the Jewish state have been too difficult to overcome. In the Arab world, Israel is mostly seen as an alien body. For Egypt, this has not changed after 40 years of formal peace. In the absence of drastic change in the Arab educational systems, these perceptions of Jews and their state will continue. Hopes for peaceful relations with Arab countries – such as between the US and Canada – are fanciful dreams. This insight should be taken into consideration when calculating the Israeli price for Arab peace offers. Moreover, the robustness of the peace treaty is not self-evident. History teaches us that most wars break out in violation of a peace treaty. The survival of the peace treaty seems threatened by several developments. We have to remember that the change in Egypt's position toward Israel was a result of Cairo gradually preferring the US to the Soviet Union. Egypt's position toward Israel changed because it preferred the US to the Soviet Union. Egypt realized that the US had greater leverage on Israel in its attempt to gain back the Sinai. However, its pro-American orientation is not a constant. Nowadays, the US seems to have become a less desirable ally. Its international standing has deteriorated and its Middle East policy, under presidents Barack Obama and Donald Trump, favors disengagement rather than involvement. At the same time, Russia has become more influential in the region. 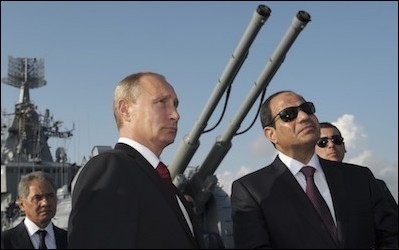 Egypt seems to sense the change and now buys Russian weapons. It also purchased two Russian nuclear reactors, which has created a long-term dependency upon Moscow. A change in Egypt's foreign policy orientation also affects its relations with Israel. The region, whose character is changing due to the ascendance of Iran, also provides reasons to worry. Egypt's pro-American orientation is not a constant. With U.S. influence waning, Cairo has begun buying Russian weapons again. States in the region are aware of a projected American weakness and are left with only two choices when facing an Iran that cooperates with Russia. They can form an alliance to curb Iranian influence (the choice of Saudi Arabia and most of the Gulf States) or get closer to Iran (the choice of Turkey and Qatar). Egypt is usually seen as part of the Sunni moderate camp that fears greater Iranian clout. Egypt is much more dependent upon financial support from Saudi Arabia and the Gulf states. Nevertheless, Egypt supported Bashar Assad in Syria – an Iranian ally. If the Gulf region falls under Iranian influence, Cairo might have to adopt a different posture and also look for support in Tehran. This might put an end to the peace treaty with Israel. Finally, the large growth of the Egyptian military and its modernization is a source of concern. The growth of the Egyptian air force, navy and land forces remains a mystery, particularly with no enemy on Egyptian borders in sight. The investments in logistics infrastructure from Cairo eastwards and the building of tunnels under the Suez Canal seem to have no reasonable civilian rationale. Moreover, the demilitarization of Sinai, the most important stabilizing element in the peace treaty, has been eroded, as Israel agreed to the infusion of Egyptian units into the Sinai to fight the radical Islamic insurgency. While an Egyptian-Israeli military confrontation is unlikely, we see the emergence of conditions that make an Egyptian attack easier.